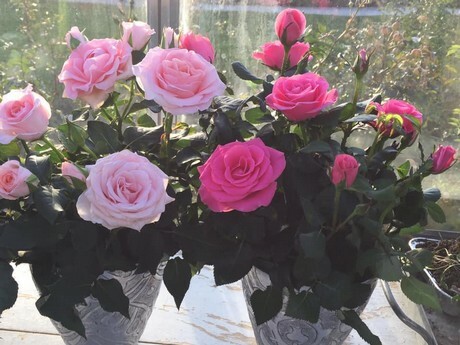 Over the years, we've seen more and more cut flowers on display at the IPM Essen. Breeders are increasingly showing off their cut varieties, and we're seeing more growers at the fair as well. 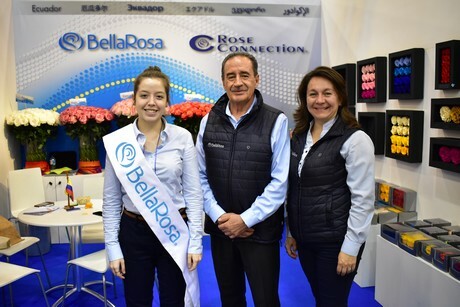 Spanish rose grower Aleia Roses returns to the show for the second year in a row, and there are also a few new growers from South America, such as BellaRosa and RoseConnection from Ecuador. 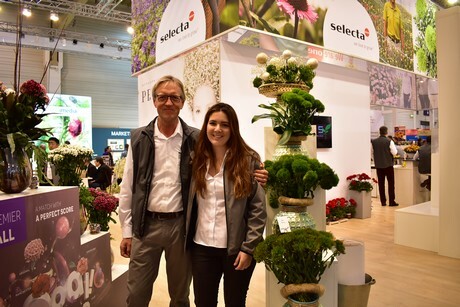 Andre Lek and Daniela Navarro of Selecta One presenting the Kiwi, one of their highlights at their cut flower part of the booth. 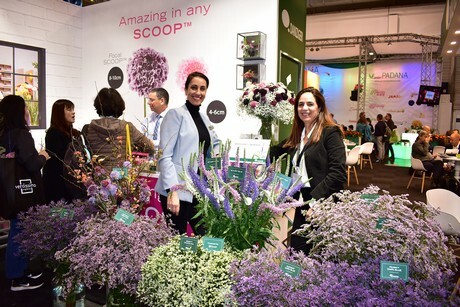 Anat Moshes together with Danziger's new global marketing manager Liat Shemer presenting their new cut flower varieties. Maria Clara, Gonzalo Luzuriaga and Gabriela Meneses of BellaRosa and Rose Connection. 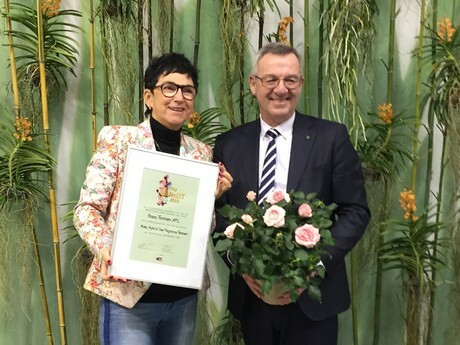 For the first time, they are exhibiting at the IPM Essen. 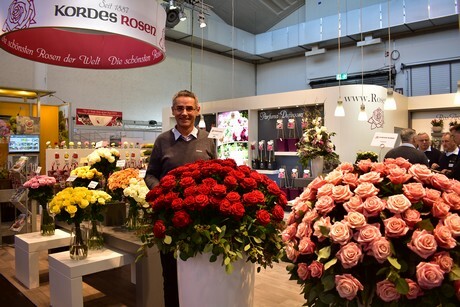 Otto Hartlieb of Kordes Roses presenting their new red variety Con Amore.